This top small value ETF is based on the S&P SmallCap 600 Low Volatility Index. The current dividend yield is 2.10%. It has low total assets of $57 million. The expense fee is 0.34%. In 2014, the year-to-date return is 10.90%. Top 5 stocks in its portfolio are Capstead Mortgage Corp, Proassurance Corp, ALLETE Inc, Acadia Realty Trust, and Piedmont Natural Gas Co. Top 3 sectors are real estate, financial services, and utilities. Vanguard Small-Cap Value ETF is a five-star ETF. The current share price is $106.05. It has a dividend yield of 1.72%. With total assets of $4.82 billion, it has a low expense fee of 0.09%. 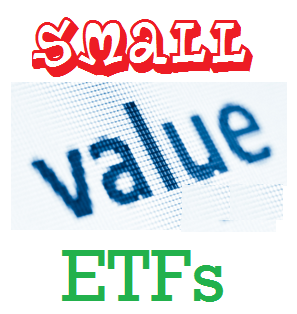 This best performing small value ETF has YTD return of 10.85% in 2014. It has returned 21.24% over the past 3 year, and 16.23% over the past 5 year. Top 3 equities in its assets are Alaska Air Group Inc, Snap-on Inc, and Arthur J Gallagher & Co.
iShares Morningstar Small-Cap Value ETF has $425 million of assets. This top small value ETF has 5 star rating. With expense fee of 0.30%, it has a yield of 1.86%.